Get Approved Today! Drive it Home Today! View Miami Import's online showroom. Miami's finest pre-owned vehicles. We are easily located at 14341 N.W. 7th Ave Miami, FL 33168. Let Miami Imports show you how easy it is to buy a quality used car in Miami. We believe fair prices, superior service, and treating customers right leads to satisfied repeat buyers. 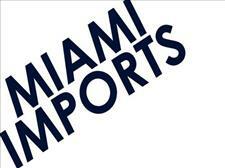 I would recommend Miami Imports to anyone that is in the market of purchasing a car. They was very professional and move very quickly. I purchase my very first car from them (2010 Audi A3) and is very satisfy with my purchase. I was purchasing from overseas so i was having my car ship to me. So far everything is going smoothly and I am just waiting on my car to arrive.